​Quench your wanderlust with a dual degree. You love San Diego. But maybe you daydream of earning your degree somewhere outside the United States, too. 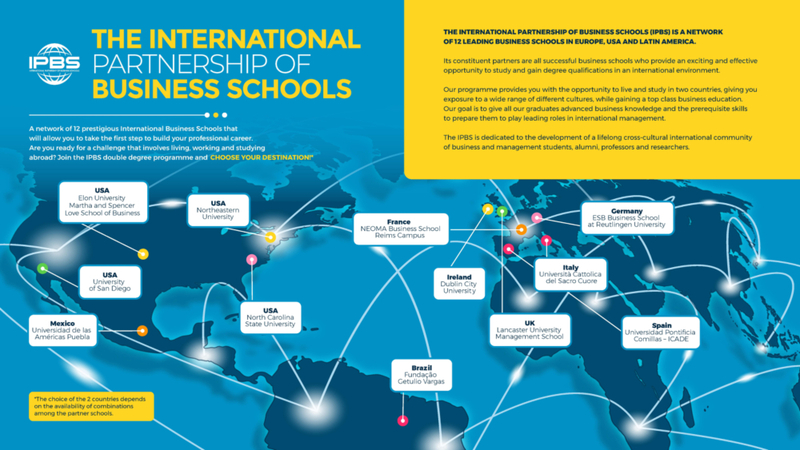 Thanks to our involvement with the International Partnership of Business School (IPBS) program, you can literally study in the best of both worlds—here on campus and at a partner university overseas—and experience the sights and sounds of two distinct cultures. 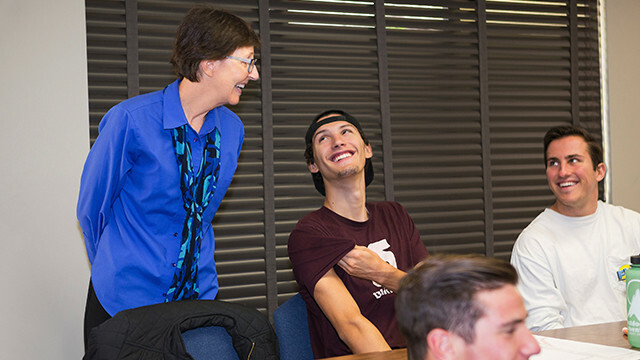 Here's how it works: you'll study at USD's School of Business. Then, you'll hop on a plane to Dublin City University in Ireland, Universidad Pontificia Comillas in Madrid, Spain, John Cabot University in Rome, Italy, Católica Lisbon School of Business and Economics in Portugal, or the University of Strasbourg in France, to study abroad before finishing your degree at USD. At the end of four years, you'll have a bachelor's in business administration from USD, along with a bachelor's from your partner school. Learn more about the specifics for each dual degree program. Are you ready for the challenge to live, work and study abroad? The IPBS undergraduate programs are built on the principle that students develop an international mindset best when they have the opportunity to immerse themselves in the cultural, academic, and work environments of different countries. Download flyer to learn more. Get the party started. Earning a dual-degree is quite the accomplishment. There is some prep work involved, so schedule some time with your advisor and they'll help you plan for it. Learn more about IPBS. Read student experiences, read about our partner school's rich histories and browse the undergraduate program tracks you can participate in.